The shortage of passion fruits for domestic and commercial consumption has sparked a rise in price as the entities strive to meet their fruit needs. The disparity in supply is evident from the margin of the cost of passion fruits in the various towns in Kenya. Passion fruit demand has many a time, been high as soft drink companies strive to meet this raw material. They are forced to import the fruits, with some of them bringing in concentrates because the fresh produce is also limited internationally. 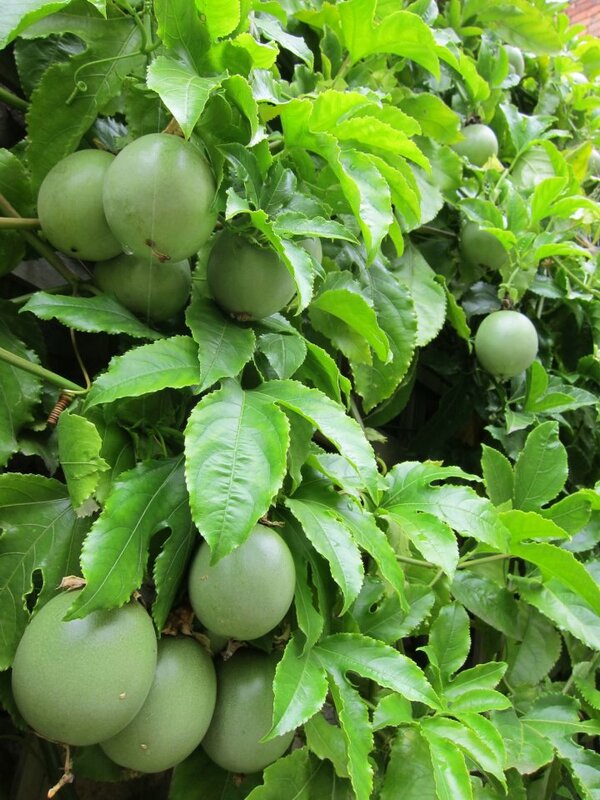 Kenya Agricultural Livestock Research Organisation’s Horticulture Research Institute officer Peter Mburu said increased demand makes passion fruit a better agribusiness venture than maize, which on many occasions, does not repay the invested production costs. On ordinary supply, a kilo of the passion fruits sells at about Sh80 but today a kilo of passion fruits can fetch you more than a hundred. The pH of the soil should be between 6.5 and 7.5. If it is lower, lime needs to be applied and incorporated into the soil several weeks prior to planting. Sodium levels in the soil must be low and application of a thick layer of mulch is strongly recommended as passion fruits are shallow rooted and are easily damaged by weeding or drought stress. Under good water and nutrient management, passion fruits can also be grown in big containers. The crops like a site in full sun to partial shade. They are grown along strong trellis, usually erected from wooden poles about 2m high and strong galvanised wires of about 6m (20ft) length. Spacing between rows is 3m. Part of this space can be utilised by intercropping with cherry tomatoes and cape gooseberries. Spacing between vines in a row is 5m. The main growing vine is trained along the wires. Fruits only grow on the side shoots called laterals and are trained so that they hang straight down. Once a lateral reaches the ground, it is cut off. So, how do you grow healthy passion fruits? Passion fruits can easily be grown from seeds, however, Oxfarm Organic Limited recommends vines grafted onto yellow passion fruit rootstock is as they have better disease and nematode resistance. Water regularly and ensure good soil fertility by incorporating large amounts of compost, mulching and monitoring potassium and calcium levels. Too much nitrogen encourages only leaf growth at the expense of fruiting. Regular pruning will improve production and keep your vines healthy. Side-shoots that develop from the laterals should be removed to keep your vines tidy, easy to harvest and allow good aeration. Do not let your laterals get entangled with each other. Fruits are only borne on new shoots, therefore, cut each lateral back to a newly developing side shoot close to the main vine after all fruits have been harvested from the lateral. The main vine will continue growing and producing new laterals. Crush 2kg of coriander seeds and boil them for 10 minutes in 10 litres of water. Chop 40 onions and pour the hot coriander-water over the onions. Leave them to soak for 24 hours. Filter through a cloth and dilute with 20 litres of water and spray. Brown spot (Alternaria passioflorae) and Leaf spot (Septoria passioflorae) are also fungal diseases that can be prevented by good plantation management, hygiene and the same regular fungicide applications as those of dieback (above). Symptoms are spots on leaves and fruits, eventually making them drop. Woodiness is a virus infection that is transmitted during pruning or grafting and also through sucking insects like aphids. It occurs mainly during the cooler season. Symptoms are mottled foliage and malformed fruits with a thickened, hard rind, producing no pulp. Disinfect tools and hands and immediately remove and destroy diseased vines. Mealy bugs (Planococcus kenyae) are small, oval insects covered in white, waxy fluff. They attach themselves near the fruits and leaves and weaken the vines by sucking honeydew. Excess honeydew also promotes the development of black mould, which covers entire leaves and vines and can eventually kill the plant as photosynthesis is restricted. Similar damage is done by aphids and white flies. Build-up of aphid colonies often starts on nearby plants. Therefore, scout your plantation regularly before any pest takes over whole vines. A pest infestation is usually a sign of bad water and nutrients management. Sucking bugs like Leptoglossus membranaceusor Anaplocnemis curvipes are easily identified by their enlarged, bow-shaped hind legs. They damage fruits by leaving pimply pierce marks that are sometimes are confused with woodiness virus. NB! To curb the pests, mix 30 to 40ml of neem oil with a litre of water. Add a teaspoon of liquid soap and mix well. Use immediately as a spray, covering also the undersides of the leaves. Neem oil is not a poison but a deterrent, which is always preferable in food crops. Well-kept vines will produce fruits for three to five years. The crop starts flowering about six months after transplanting and fruits ripen in about two-and-a-half months after they set. Harvest in the morning and avoid post-harvest damage by handling the fruits carefully. A well-kept plantation will produce about six to seven tonnes per acre. Always start with a soil test.